For a man who seemed to enjoy juggling his lineup a year ago more than a circus clown juggles bowling pins, Gabe Kapler has settled in to a nice, steady routine here in the 2019 season. It’s amazing what a year of experience – not to mention a tremendous increase in talent – will do for a guy. 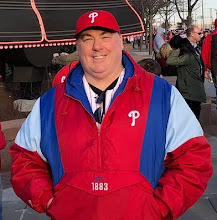 For Saturday evening’s middle game of a weekend tilt with the host Miami Marlins, the Phillies skipper is rolling out the same position player lineup in the same order for the 11th time in 13 games. The formula has worked most nights. The Phillies are 8-4 and a half-game off the pace being set by the New York Mets in the early going of the National League East Division. The club is 7-3 on those night’s where his new everyday group has started the game. They are averaging 6.7 runs per game with the regulars, and just 3 per game when he changes up. First pitch scheduled for 6:05 pm. Originally published at Phillies Nation as "Everyday Gabe: Kapler rolls out same starting lineup on Saturday night"